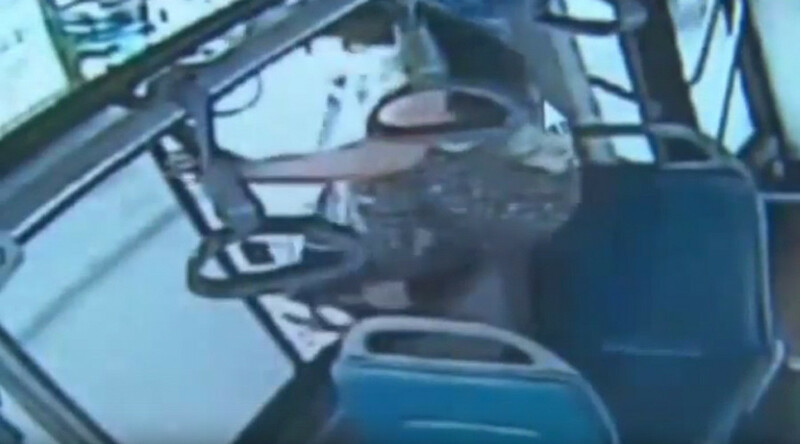 CCTV footage from Henan Province in China shows a woman jumping out of the window of a moving bus into a busy road. Somehow, she landed safely and proceeded to go about her business. She really took thinking outside the box to a whole new level when she missed her stop. The video shows how she is busy on her smartphone while other passengers are disembarking. When she realizes she has missed her stop, she rushes to the shut doors, fiddles with her phone in panic and then does something unexpected. She climbs out of the window into a busy road while the bus is moving. The woman steadies herself for a moment, balancing in the window and then jumps into the street as a motorcycle whizzes past. After the stunt she strolls off amid the heavy traffic as if nothing unusual has happened. It is not clear why she decided to get off without waiting for the next stop - she must have had some serious rush to have acted so recklessly.